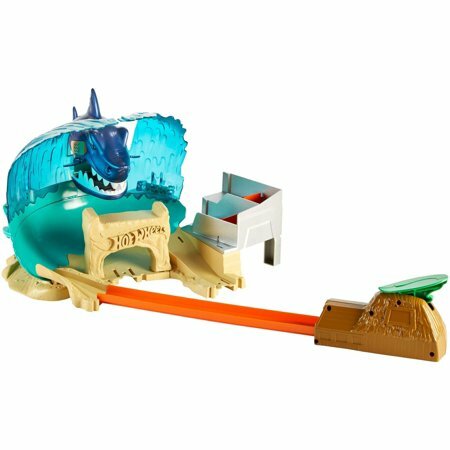 Walmart has the Hot Wheels City Shark Beach Battle Play Set on sale for just $17.97 (regularly $34.99). Fuel kids' imagination when a giant Shark attacks Hot Wheels City and threatens the Hot Wheels Surf Competition! Kids launch their car to drift through the wave to try and avoid the Shark's chomp. Uh-oh, he captured the car in his massive jaws! Time to come to the rescue and launch another car. 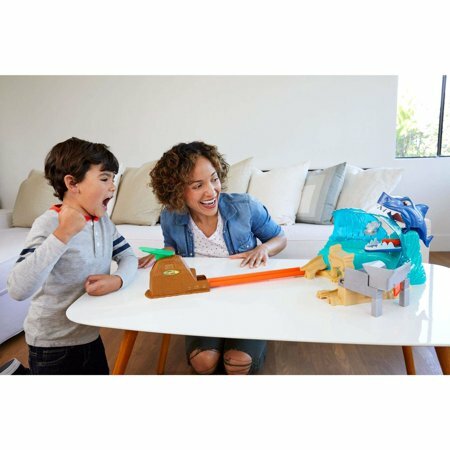 Take aim and slam into the Shark to defeat him. 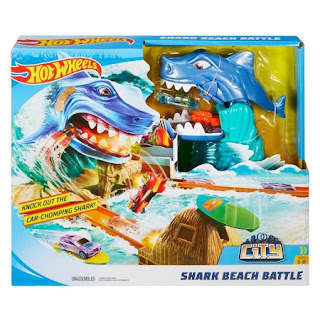 When the Shark is defeated the wave crashes back dramatically and the vehicles are freed.